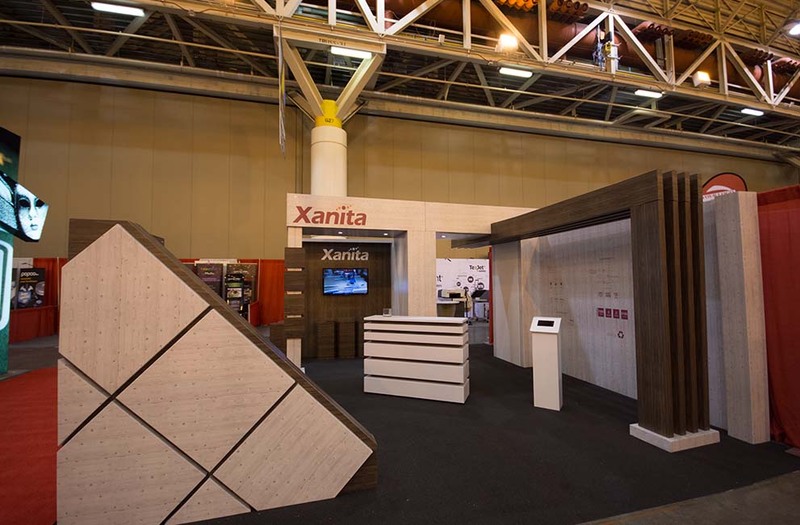 To build an attention grabbing booth that speaks to the structural capabilities of Xanita board. 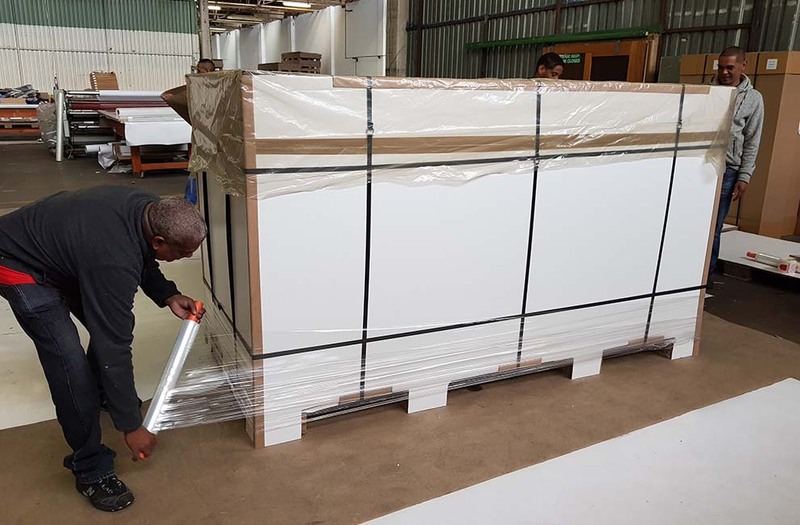 The underlying challenges was the 20x20ft booth needed to ship in a pallet roughly 1/10th the booth size and that it would only be assembled by two people. Putting our decade of experience to work we did a full digital model and build with minimal prototyping. 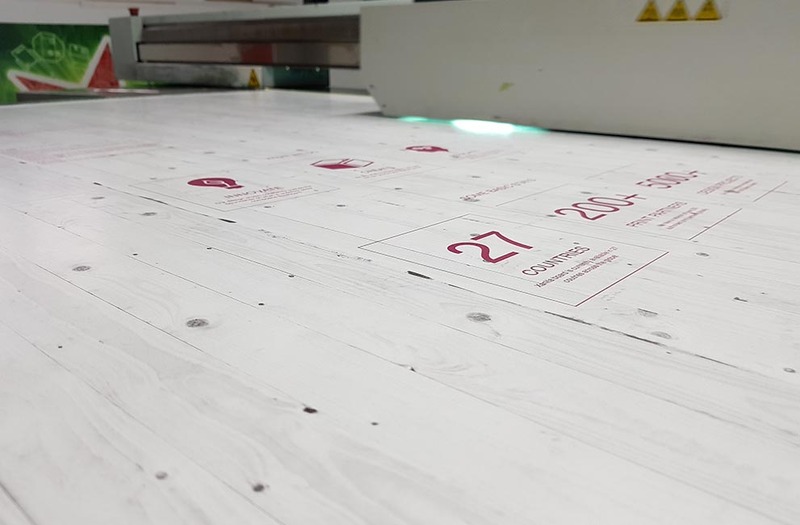 We designed to maximise impact and floorspace, but also allow for compact packing for shipping. 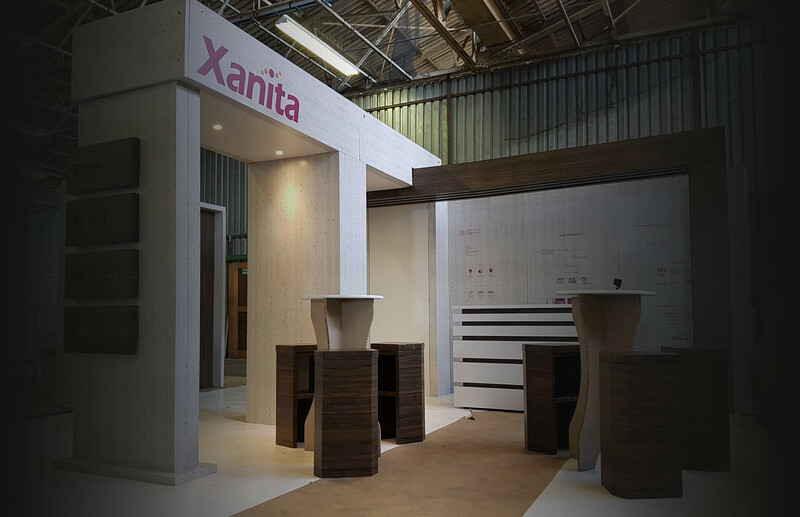 The biggest design boon was being able to keep the design manageable for only two people to set up the booth. It’s not often that an idea comes to fruition, this is especially true in the business sense. For every success story we see, there are hundreds, thousands,or even millions that don’t. 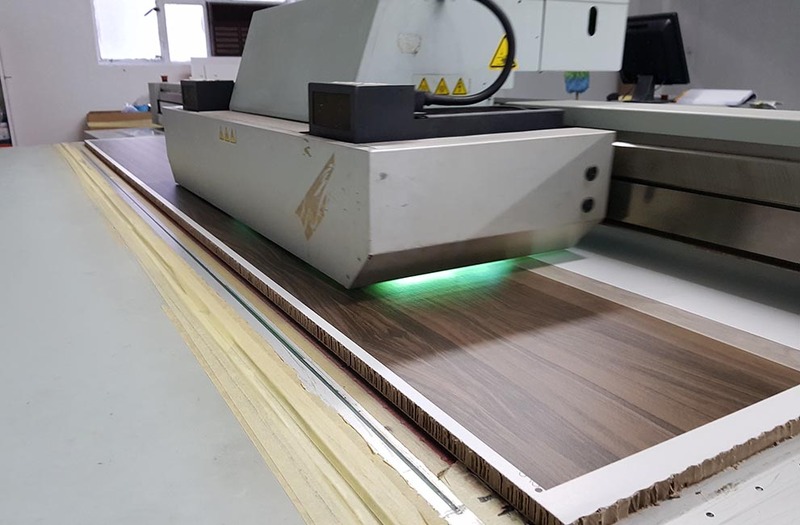 We set out to develop a product that not only performed a function, it would also be the best in its category. It would be premium and superior in every way, all the while being free from volatile organic compounds and sustainable. The design incorporated an ambitious dual bulkhead with several unique freestanding elements. 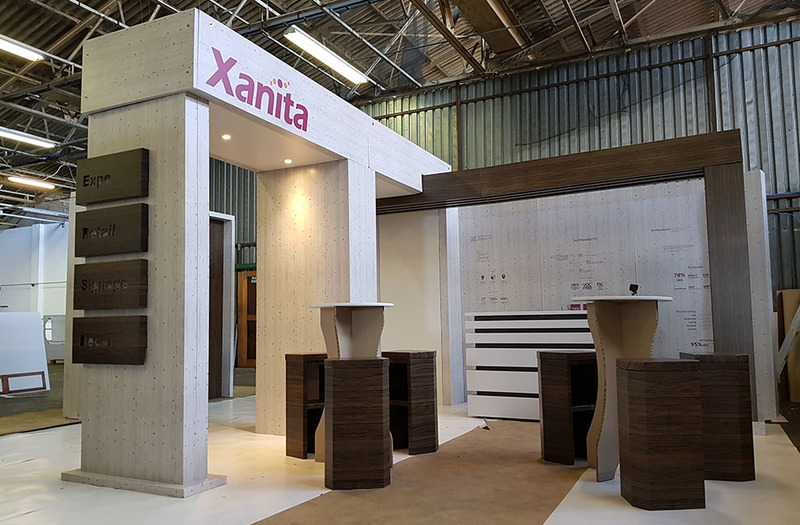 Two wood grains we're the printed to give the stand a dynamic contrast, as well as showcase the ability to mimic heavy expensive materials. 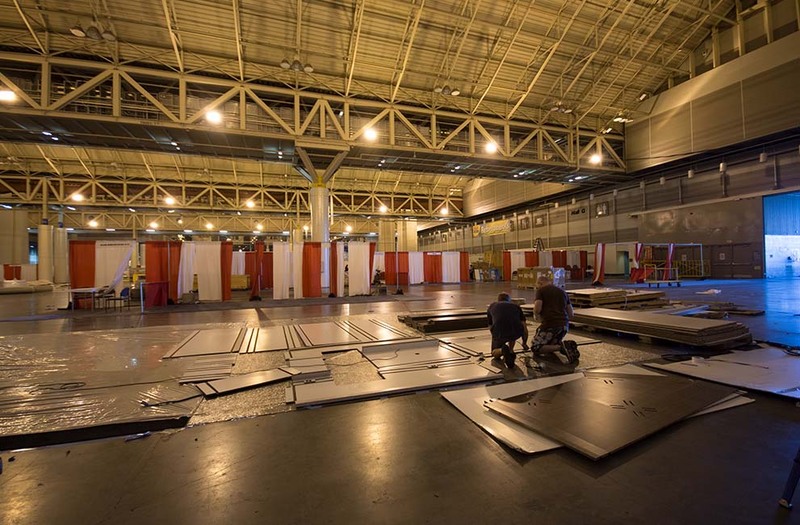 The booth needed to be shipped from Cape Town to New Orleans, The pallet that the booth shipped in was roughly 1/10th the size of the built booth. None of the booth went to landfill. The cost of our custom booth + shipping from South Africa to the USA was still cheaper than the generic 20x20ft booths in the catalogue.